Discussion in 'Asian Football Confederation' started by Angsa, Oct 4, 2016. 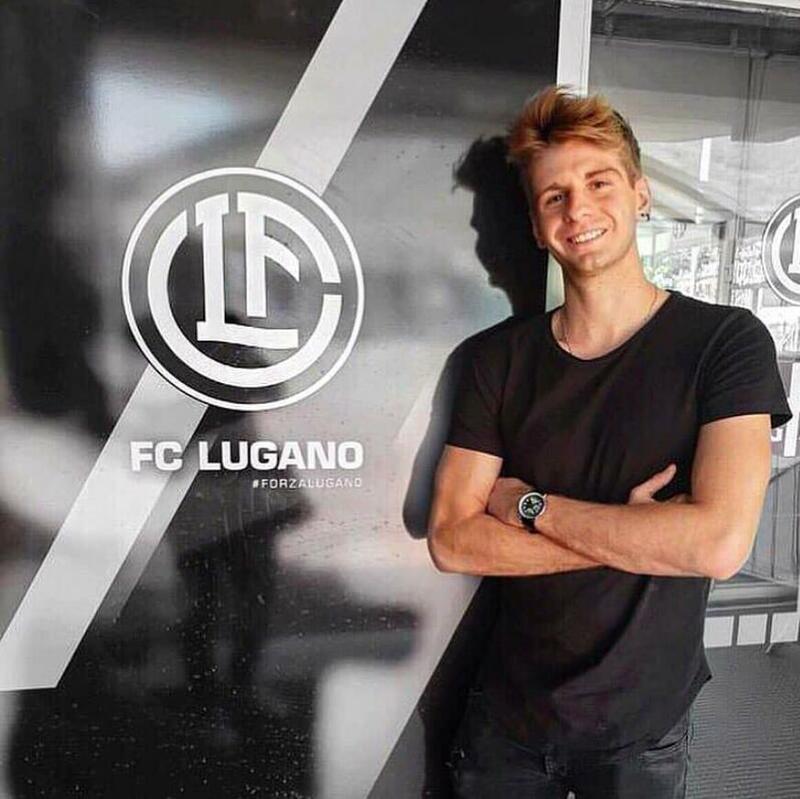 Antoine Viterale, formerly of S League club Hougang United, has returned to Europe, signing with Lugano FC which plays in the Swiss Super League. He was born in Hong Kong and was a youth product of Kitchee FC. In theory he can play for Hong Kong but has not been called up at any age level. Let's hope he can revive his once promising career at Lugano. Can he play for HK? It seems he has French and Italian nationality, but not HK. Disappointing result for Kitchee who are the hosts. Can Wofoo Tai Po now go on to beat 4.25 SC and win the group? Kitchee was criticized by its fans last night for raising ticket prices. Last night's match ticket was $180 per adult, while Wofoo Tai Po sold a AFC Cup ticket package of $180 for THREE home matches. With Kitchee losing the match and getting criticized last night, I think Ken Ng must re-think his ticket pricing strategy. I always believe ticket pricing is a matter of supply and demand. The aim is always to fill the stadium. If you can sell all your tickets at $X price, then $X maybe too cheap and there is room to increase the price. If you cannot sell all your tickets at $Y, then $Y is too expensive and the price should be lowered. It is always a matter of balancing the supply and demand. Obviously Kitchee is not pricing its tickets right because the stadium is never filled. Best way to protest ticket prices? Don't go. When fans vote with their feet, the owners take notice. Another 2 points lost for Eastern. 3 matches to go this season and they are 6 points behind Kitchee and 5 points behind Wofoo Tai Po who has a game in hand. I believe Eastern's title hopes are gone. But they still have to battle HK Pegasus for the right to use Mongkok Stadium as their home ground next season. HK Pegasus are on 19 points with 1 game in hand. It remains tight at the top. Kitchee vs KC Southen District tonight will be a crucial match for both sides. Southern appeared to be playing for a draw in order to keep their title hopes alive while Kitchee obviously were going for it. After this weekend, we're no closer to having a clear contender. Tai Po and Southern play each other in two weeks time while Tai Po and R&F play each other next month. Still all to play for which is brilliant for the league. Mixu Paatelainen, a Finn, has been appointed Hong Kong national team head coach. He used to play for Dundee United, Aberdeen, Wolves and Hibernian. He also played for Finnish national team 70 times and scored 18 goals. He coached Hibernian, Kilmanock, Dundee United and Thai club Ubon Umt United. He also coached Finnish national team for 4 years. As I had mentioned before looking at his track record, I'm not entirely sure if Mixu Paatalainen is the right candidate to lead the HK National Football Team. - He was unable to prevent Dundee United's relegation from the Scottish Premier League during the 2015/16 season. - Had a very poor campaign with Ubon Umt United in Thailand, having only won 2 games out of the 11 matches he was in charge. - Wasn't able to progress with the Latvia National Football Team during the 2018/19 UEFA Nations League group where he was only able to pick up 4 points from six matches. His records are probably not very good but I don't think HKFA has the resources available to hire anyone with better records or attitude. You may say HK govt is giving them millions, but millions of HK$ in the football world is nothing. Mourinho gets HK$2 billion alone just to NOT work for Man Utd... Please don't tell me Kevin Bond or Josep Gombau are better than him. They don't even have proper national team coach experience to speak of. There's also the fact that his contract is only until June of next year because the HKFA is not in a position to offer a contract beyond that point. That restriction alone may have discouraged many qualified candidates from applying. 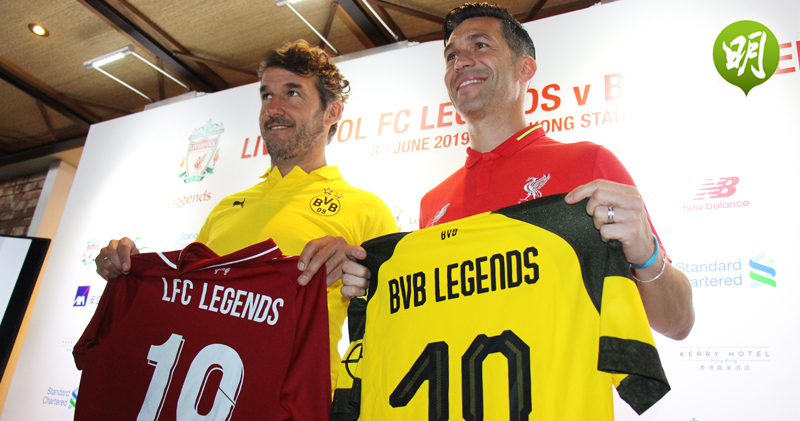 Liverpool legends will play Borussia Dortmund legends on 8 June at the Hong Kong Stadium. Robbie Fowler will be the Liverpool captain, Luis Garcia, Patick Berger, Jamie Carragher are on the squad list. Dirk Kuyt, Daniel Agger etc are rumoured to be on the list too. Borussia Dortmund will feature Karl Heinz Riedle, Jan Koller etc. If Glasgow Rangers coach Steven Gerrard can make the trip then it will be a sell out for sure. Best Union Yuen Long are in the final. Maybe they can win a title this year? Best Union Yuen Long will be playing Lee Man in the Sapling Cup final on 27 April. The two clubs are actually the winners of their groups so it is quite fair. Kitchee are off to Beijing and onward to Pyongyang for their crucial away match to 4.25 Sports Club. They will probably have no chance to qualify from AFC Cup group I if they lose this match on 17 April. Matt Smith is back from suspension. But striker Lucas Espindola da Silva is injured and is not making the trip. So I guess Kitchee will be looking for a draw. Ajax's win at Juventus last night means the Dutch club will not be coming to Hong Kong for a friendly with R&F FC next month. It now looks like Kitchee are already out of contention. Some say Kitchee should concede to Wofoo Tai Po on 19 June so Tai Po can advance from the group. I say let them play. Who knows, maybe both will lose to 4.25 anyway. I'm excited to see just how much quality 4.25 have. All we've seen so far are two minute highlights.